President Trump&apos;s attorney Michael Cohen. Here are some excerpts from federal prosecutors’ court filing Friday that opposes a bid by lawyers for Michael Cohen and President Trump to stop the Justice Department from reviewing records seized Monday after FBI searches of Cohen’s apartment, hotel room, office and safe deposit box. On April 9, 2018, agents from the New York field office of the Federal Bureau of Investigation (“FBI”) executed search warrants for Michael Cohen’s residence, hotel room, office, safety deposit box, and electronic devices. The searches were authorized by a federal magistrate judge, who had found probable cause to believe that the premises and devices searched contained evidence, fruits, and instrumentalities of conduct for which Cohen is under criminal investigation, namely [REDACTED]. Here, Cohen is not a criminal defense attorney, has no cases with the USAO-SDNY [US attorney’s office for the Southern District of New York], and is being investigated for criminal conduct that largely centers on his personal business dealings. Based on information gathered in the investigation to date, the USAO-SDNY and FBI have reason to believe that Cohen has exceedingly few clients and a low volume of potentially privileged communications. 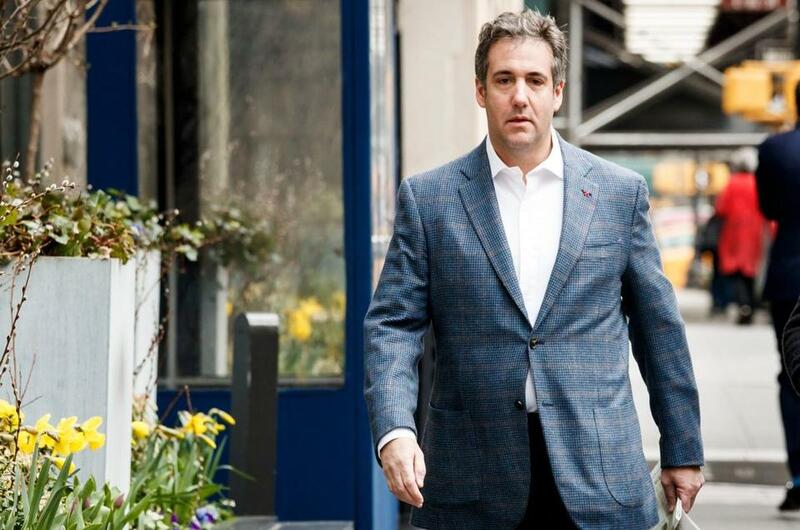 Lawyers for President Trump’s personal attorney, Michael Cohen, asked a federal judge Friday to get the first look at documents and devices seized from Cohen’s office and hotel room during an FBI raid. To be sure, searches of premises belonging to an attorney raise special concerns, which impose a need for heightened care, due to the fact that such premises may contain privileged material. But there can be no dispute that attorneys, like anyone else, may be criminally investigated for their conduct, and that law enforcement officials may search an attorney’s law office – or other premises – “pursuant to a valid warrant that is supported by probable cause that an attorney has been engaging in criminal activity and that the law offices in question contain evidence of this suspected wrongdoing.” [...] That is what happened here: A federal magistrate judge found that there was probable cause to believe that Cohen’s premises and devices contained evidence, fruits and instrumentalities that specified federal crimes were committed. Despite Cohen’s conclusory claims to the contrary, there is nothing inappropriate about the execution of these warrants. These searches were carried out as part of an ongoing grand jury investigation being conducted by the USAO-SDNY and the FBI. 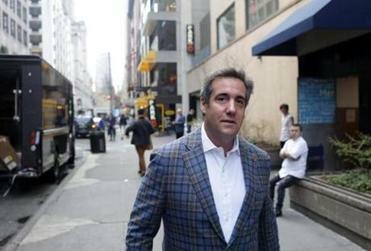 Although Cohen is an attorney, he also has several other business interests and sources of income. The searches are the result of a months-long investigation into Cohen, and seek evidence of crimes, many of which have nothing to do with his work as an attorney, but rather relate to Cohen’s own business dealings. As set forth below, unlike a search of a traditional law office, the information gathered thus far in the investigation suggests that the overwhelming majority of evidence seized during the searches will not be privileged material, but rather will relate to Cohen’s business dealings. [...] the USAO-SDNY has already obtained search warrants – covert until this point – on multiple different email accounts maintained by Cohen, and has conducted a privilege review of the materials obtained pursuant to those warrants. Cohen’s novel proposal would set a dangerous precedent. It would permit subjects or targets of an investigation, who have not yet been indicted, to delay government investigations into their criminal conduct by giving them, and not the government, the authority to make a unilateral determination not only of what is privileged, but also of what is “responsive” to the warrant. Although Cohen accurately states that the Special Counsel’s Office (“SCO”) referred this investigation to the USAO-SDNY, the investigation has proceeded independent from the SCO’s investigation. Cohen’s speculation [...] that the SCO drafted the search warrants is unfounded.